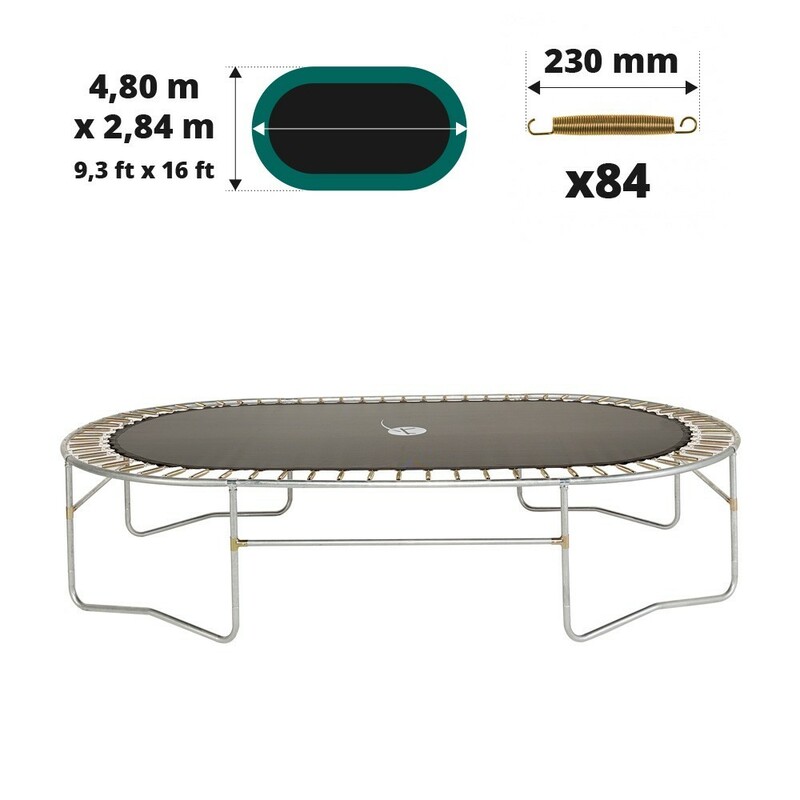 Oval jumping pad of 4.80 m x 2.84 m trampoline with 84 springs 230 mm. Jumping pad for Ovalie 490 trampoline. Make sure you change the jumping mat on your recreational trampoline as soon as you see any damage. This jumping mat has been specifically designed for you oval Ovalie 490 with 84 springs 230 mm in length. It will replace your old jumping mat and allow it to regain its original powerful bounce. - This jumping mat is adapted to the oval Ovalie 490 trampoline, but it is also adapted to any trampoline measuring 4.80 m x 2.84 m with 84 springs 230 mm, even if it is not part of France Trampoline’s range. We recommend measuring the exterior diameter of your trampoline with a second person before ordering. 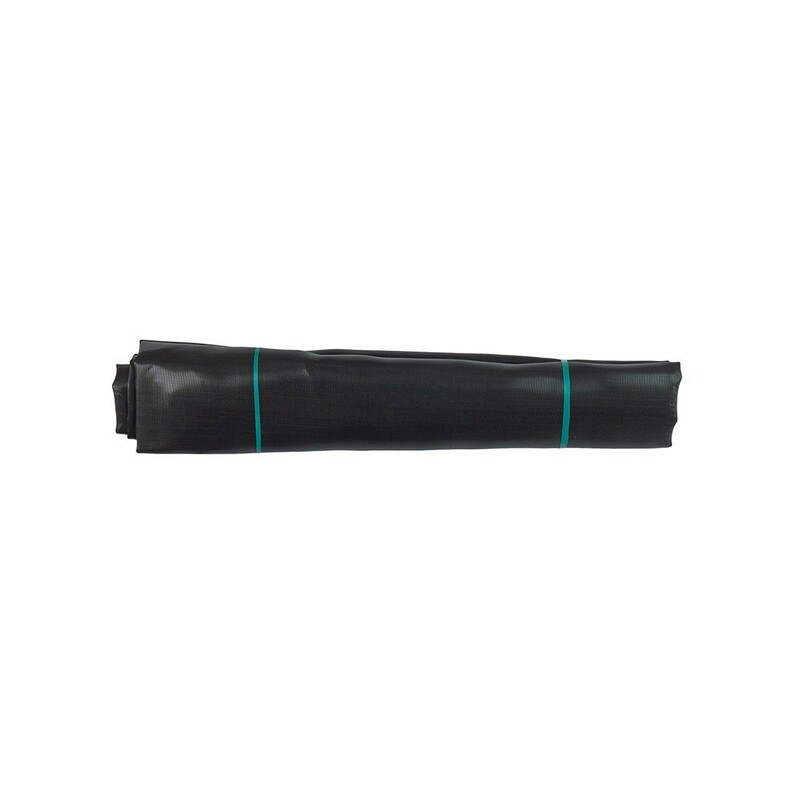 - This jumping mat is made from black polypropylene, an incredibly solid and durable fabric, universally used on recreational trampolines. It has been UV protected which protects it from the sun. You will be able to leave your trampoline outside all year round without worrying about the weather. 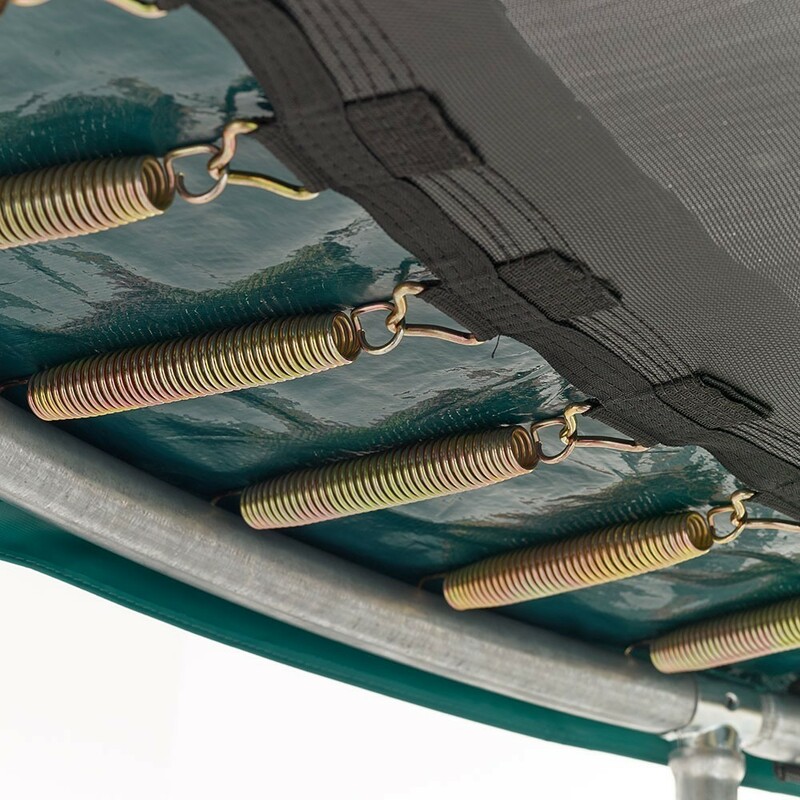 - France Trampoline’s jumping mats all have 8 rows of stitching, as well as a reinforcement strip around the whole circumference of the pad, to ensure that the straps are perfectly held in place. This ensures it is tear-proof. Hot-dip galvanised triangular steel rings, which are rust-proof, are fixed at the end of the straps to reinforce the whole structure. 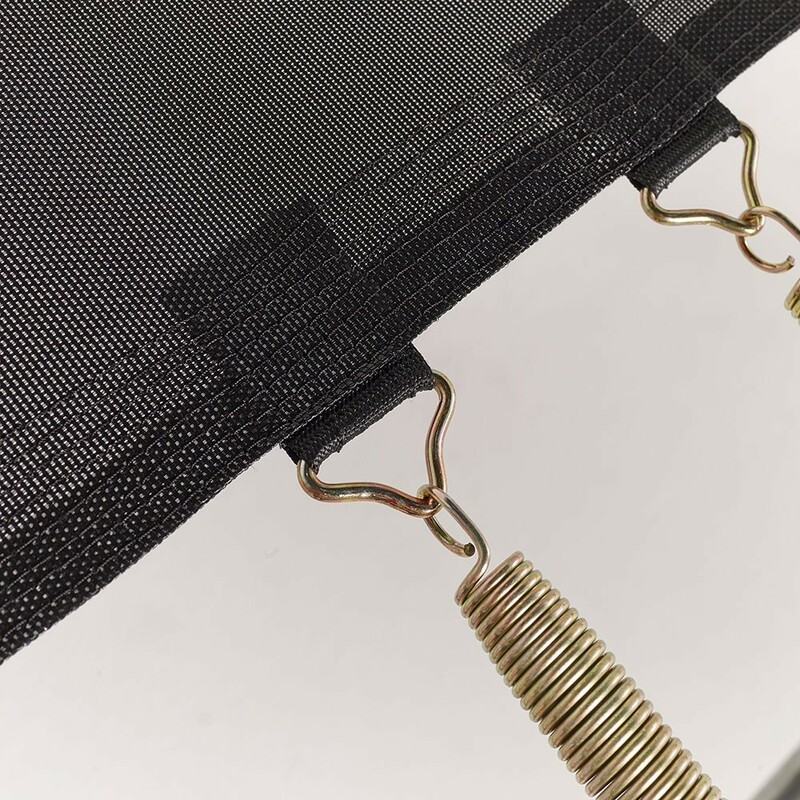 - We recommend checking the size of your springs before ordering, as this jumping mat is only adapted to oval trampolines with a diameter of 4.90 m using 84 springs of 230 mm in length. To measure your springs, please remove one from the framework and measure it from hook to hook. Matériel très robuste, beaucoup plus de rebond que les trampolines de super marché. Vu son poids, il faudrait une sacrée tempête pour que le trampoline s'envole.